Penrith has managed to stay off our foodie radar for far too long, but that’s all about to change. We are blowing the lid and spreading the word on all the hidden gems filling the streets of this undiscovered hot spot. Boasting everything from vegan pizza to Middle Eastern tapas, Penrith is gaining serious street cred on the foodie scene and proving west really is best. So make room Penrith locals, we have a feeling Sydneysiders from far and wide will be flocking to get a taste of all your glorious suburb has on offer (and it has a lot). Mr Watkins Bar is the legendary new hangout in western Sydney that you’ll want to get to, stat. With epic hotdogs, a wine list created by a Hubert sommelier (this is a big deal) and craft tinnies all up for grabs, the team here are really doing Sydney-siders a solid. They’ve got trivia happening on Tuesday nights and food flying out of the kitchen six days per week—this place quickly just became your new favourite. Based on the philosophy that “less is more” (except when it comes to their food of course) the team at Naked Flame have nailed it with their simple but super tasty woodfired pizzas. So book in a cheat day, gather your mates and prepare yourself for a pizza party. And for all our vegan friends, don’t worry you’re invited too. The menu currently offers six vegan pizzas complete with just-as-good-as-the-real-thing vegan ‘cheese’. Our pick is the wild mushroom pizza; topped with truffle oil, mushrooms, rosemary, sea salt and mozzarella (or vegan cheese) it’s a pizza-lovers aka everyone’s dream. High St Social is quickly becoming a local favourite, so we thought it only right we spread the word of this hidden hot spot. Ticking all the boxes with their great food, excellent service and extensive drinks list; High St Social is gamechanger and our new non-local, local. Their crowd favourite fried chicken burger is crunchy, gooey and all round #burgergoals. Insiders tip: try their alcoholic ginger beer (yes this now a thing) to chase it all down. With a beer garden on the way for next summer we have a feeling we'll be regulars in no time. Get ready to talk with your hands, because at Panarottis, your mouths are always full. Or so they say (and we have to agree). We can’t get enough of the authentic Italian food served up in the vibrant atmosphere that is Panarottis. Bustling with people and lively conversation, it’s the perfect spot to head in Penrith for a fun night out—and what’s more fun than pizza? The friendly team will even cook up your very own personalised pizza. So get creative and say a big “Grazie!” to the pizza gods as your pizzas dreams become reality. 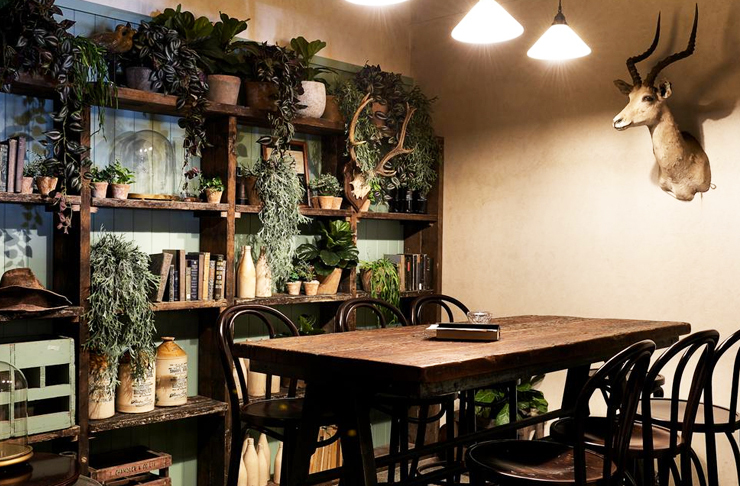 Located just off Penrith’s main strip, husband and wife team Sophie and Aaron Bernecki have hit the marc (excuse the pun, we had to) with their cosy café in Sydney's west. Henri Marc is housed in an industrial building and has plans to expand and bring top quality coffee and great food to even more of us lucky Sydneysiders. The menu, which changes daily is full of tasty options like the caramel on toast (we recommend sharing, these guys are generous!) and the poached egg with chorizo, mushrooms and parmesan on Brasserie Bread sourdough. First on our list is Burger head, because burgers. Need we say more? Probably not (but we’re going to anyway). Penrith locals and three of Sydney's top chefs have joined forces and launched a burger restaurant with all the bells and whistles. There’s a classic cheeseburger, a fried chicken burger, mash and gravy, milkshakes and all the other staples of a good burger bar. The star of the show (vegos thank us later) is their vegetarian burger, the Mike Tyson. With pulled-pork-like shreds of smoked enoki, oyster mushrooms, deep-fried kale and cabbage slaw, this burger is a knock out! See what we did there? This trendy hotspot is serving up the best smashed avo in Sydney's western suburbs (we’re not kidding folks), as well as some darn good coffee. Run by husband and wife duo Tim and Noreen Bryan, they’re bringing their experience from high-end restaurants (Aria included) to Penrith and they’ve done it damn well. With giant pug murals lining the wall and an always-changing menu, you can’t really go wrong at High St Depot. 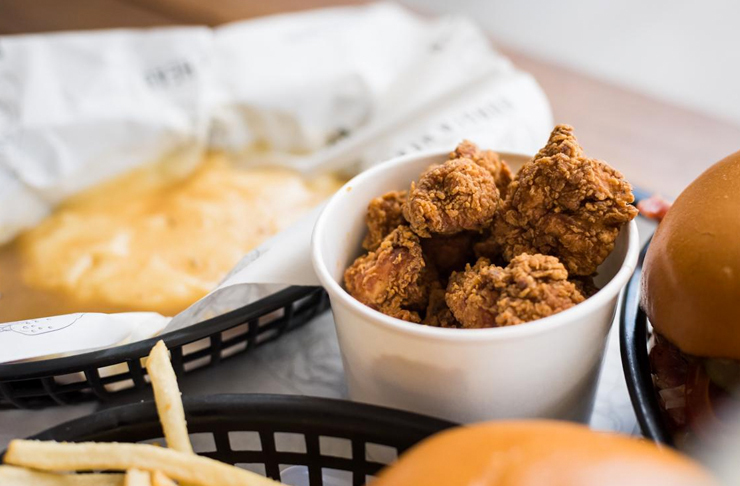 The Shack was founded to fill our bellies and fulfill everybody's (and we mean everybody… paleo, vegan, pescatarian, GF, allergen free, free-range and organic) desire for tasty, wholesome and nourishing foods. These guys deliver food that not only tastes good, but makes you feel good too #winning. The menu is a #cleaneating, #fitspo and dieters dream; with an earth burger, super food salad and zucchini chips all on offer. But don’t let all that goodness scare you, the food tastes so good we’re almost convinced it has to be bad for us. Set amongst the inspiring exhibitions at the Penrith Regional Gallery and looking out over the Napean River, Café at Lewers delivers delicious food in a stunning setting. The menu is packed with all our brekky faves (think corn fritters with bacon and housemade tomato chutney) as well as good ol’ fashioned sandwiches and a killer lamb pie with mash. All the food is made using produce sourced locally or grown in their very own garden. For breakfast with a side of culture and lunch with a view, these guys have you covered. The Village is sitting in a building that was constructed in 1861 which makes for a pretty cute setting for some serious eating. The goal here is about bringing people together to share amazing food and that’s exactly what you should do when you hit this one up. Open for breakfast, lunch, high tea and there’s even a charcuterie bar (good at any time of the day), you literally won’t know where to start. We suggest you start with breakfast which involves an egg and la boqueria chorizo pot—perfect for chilly mornings, teamed with a good ol’ cup of Joe by Arte Caffe. The Union Café is one of Penrith's hidden gems, and when we say hidden, we mean literally. With no front door and only an anonymous back entrance through a shady car park, The Union is one of Sydney's best-kept secrets. Once you find you’re way in (we promise the hunt is worth it) you’ll be greeted to a candlelit room buzzing with energy. The savvy little food and wine bar serves up tapas style food inspired by the flavours of Spain, Morocco and the Middle East. Portuguese cheesecake, empanadas and mussels cooked in corona and coriander all feature on the menu. The Union has nailed social dining at an affordable price; so you get more bang for your buck, or in our case more dishes! Continue your foodie adventures with more hidden gems in Chatswood. Now head north and check out Mosman.